Engine 1 is a 1999 Pierce pumper. 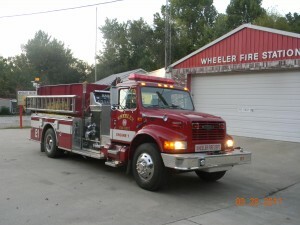 This truck has a 1000 gallon tank and a 1250 GPM pump. We carry fire and medical equipment on it to be ready for any type of emergency. We purchased this vehicle new in 2000. Engine 2 is our newest purchase. It is a 2000 Pierce Saber. We purchased it in November 2014. 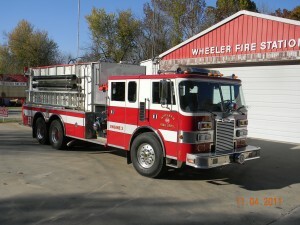 This truck also has a 1000 tank and has a 1250 GPM pump. 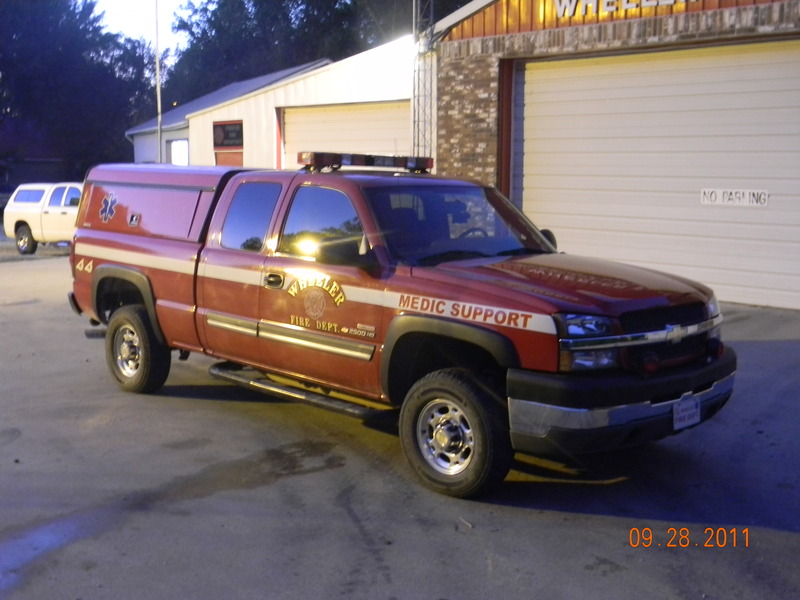 It is equipped with the same fire and medical equipment as Engine 1. Engine 3 is a 1991 Pierce Lance Custom. We purchased it in September 2011 from Treasure Lake Fire Department in Pennsylvania. It has a 6 man cab, 3000 gallon tank, and a 1250 GPM pump. It replaced our tanker and will be used as a water supply. 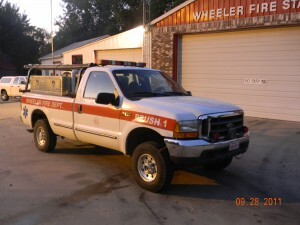 Brush 1 is a 1999 ford F-350 1 ton Diesel. It has a 2010 Hale pump rated at 250 GPM. It was purchased by our department in 2002 with a pump upgrade in 2010. Support/Medic 1 is a 2004 Chevrolet 2500 3/4 ton Diesel. It was purchased from Warford Auto Wreckers in 2009. It has all of our major medical equipment, includeing pediatric medical supplies, and swift water rescue gear. It also carries large amounts of drinking water for rehab of our firefighters.